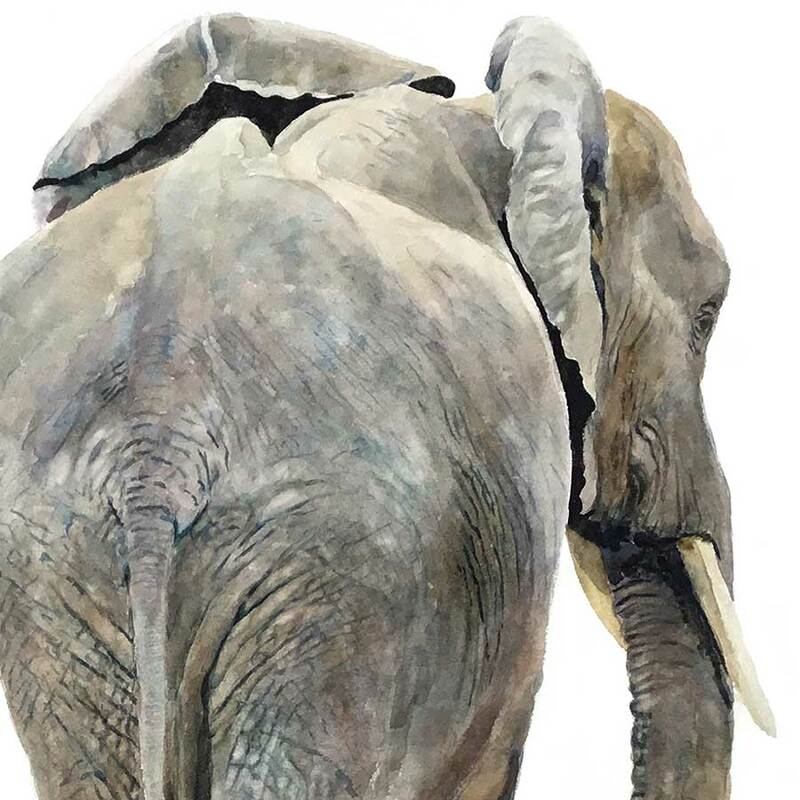 Art Print of elephants from behind. 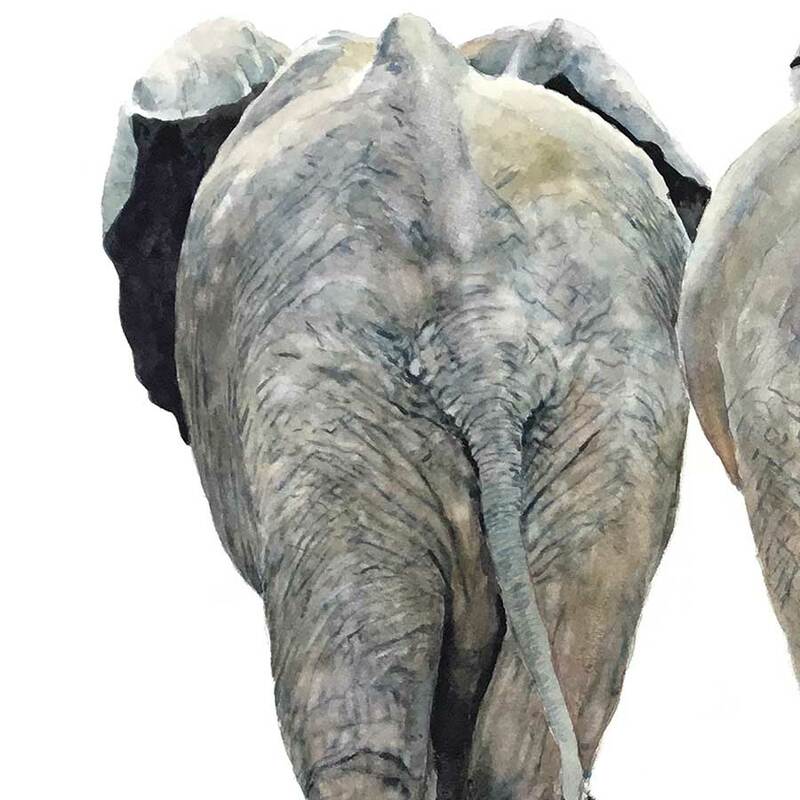 A rear view that depicts two elephants viewed from behind. As a result, the folds of their skin make it look like they’re wearing baggy pyjamas. 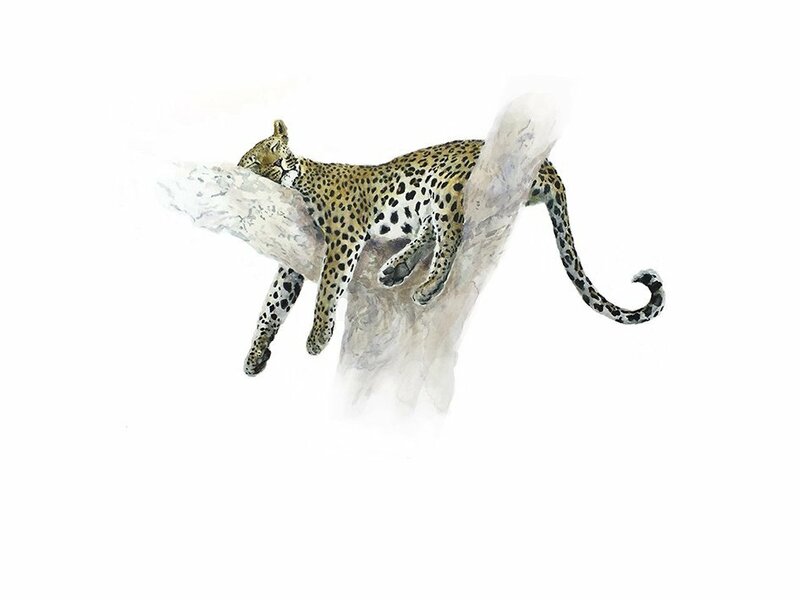 Limited edition giclée wildlife prints by animal artist, Sue Dickinson Sue Dickenson Sue Dickson Sue Dixon. Because elephants are the largest mammal, they are threatened by very little, except man. 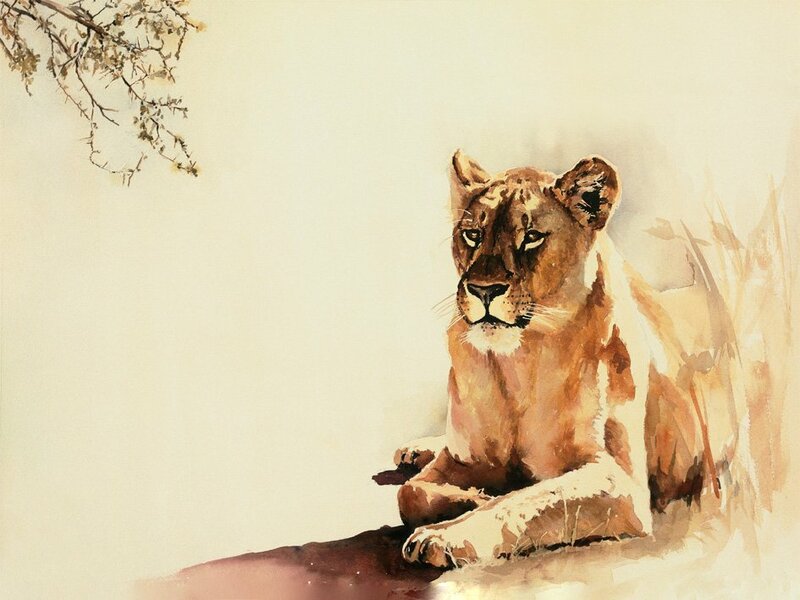 Animal art prints and wildlife prints using top quality paper and canvas. Consequently, your print will never fade or discolour. 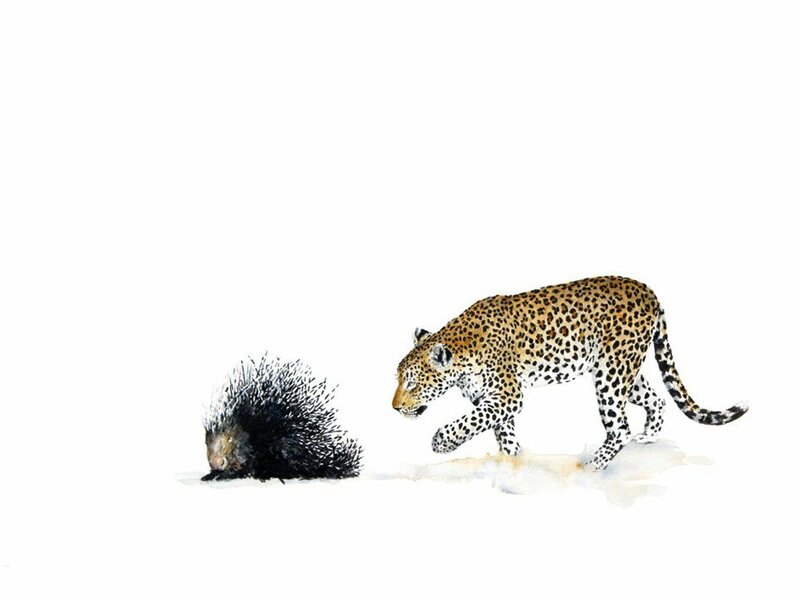 From an original wildlife painting. South African artist. The social structure of elephant herds is incredibly important. Although the matriarch has the most important position in a breeding herd, all the elephants care for one another. Babies are treated with great tenderness by all members of the herd. Communicating with low-frequency rumbles, they keep within earshot of each other. Commonly, a herd of elephants will keep close to one another. However, if one elephant becomes separated from the others, it will soon hear their low rumbles. Said to travel for many kilometers, these sounds are very important. Learning to read the mood of elephants of a game drive is very important. If a bull is in “musth”, it’s a good idea to stay well away from him. A charging elephant can be a terrifying thing. For this reason, it’s vital to know the difference between a mock charge and a genuine charge. 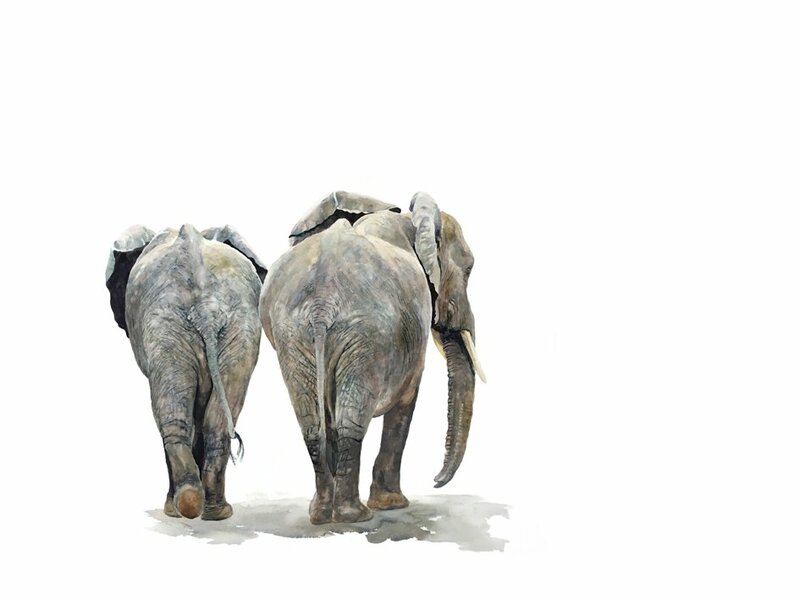 “Baggy Pyjamas” depicts two elephants from behind. Protecting them from thorns and sharp branches, the thick folds of their skin keep them protected. Moseying down the road, these two elephants are relaxed.